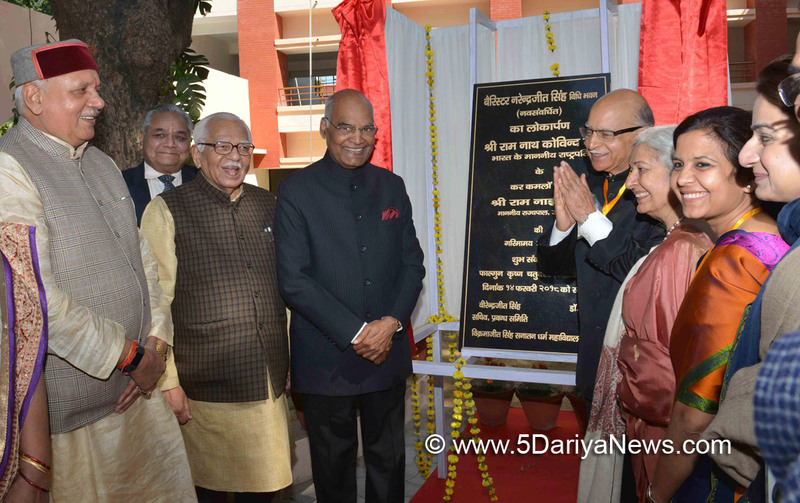 The President of India, Ram Nath Kovind, inaugurated the international conference ‘Agricon 2018’ and ‘Agriexpo 2018’ at Chandrashekhar Azad University of Agriculture & Technology (CSAUT), Kanpur today (February 14, 2018). Speaking on the occasion, the President said that in a country as vast as India, problems of farmers in different regions are different. We will have to find solutions according to their needs. Water is a common concern. In this regard, the Government has promoted the concept of “per drop, more crop” and this message should reach every farmer in the country.The President emphasised the need to see grain production, dairy farming, animal husbandry and fisheries, poultry, horticulture and sericulture as part of a composite approach to modern agriculture. There is also need to encourage the food processing industry to give farmers a better price and a better deal for their produce. The President said that it should be remembered that when any farm-based product is exported from the country, the name of India is associated with it. Therefore, there can be no compromise with quality. For demand for such products to be sustainable, quality has to be maintained and people have to have faith in it being of international standard. The President said that in today’s age the slogan of “Jai Jawan Jai Kisan” has become ever more relevant. While our Army is valiantly battling terrorists and continuously striving to keep our borders and our nation safe, our farmers are working hard to ensure food security for the country. The government is fully committed to empowering both our Armed Forces and our farmers.Later in the day, the President delivered the Barrister Narendrajit Singh Memorial Lecture at VSSD College, Kanpur.Addressing the gathering, the President said the poor pay heavily for delay in justice delivery. To overcome such delay, we must make constant efforts for judicial reforms. He said he was happy to note that many High Courts are taking effective steps to deal speedily with long-pending cases.